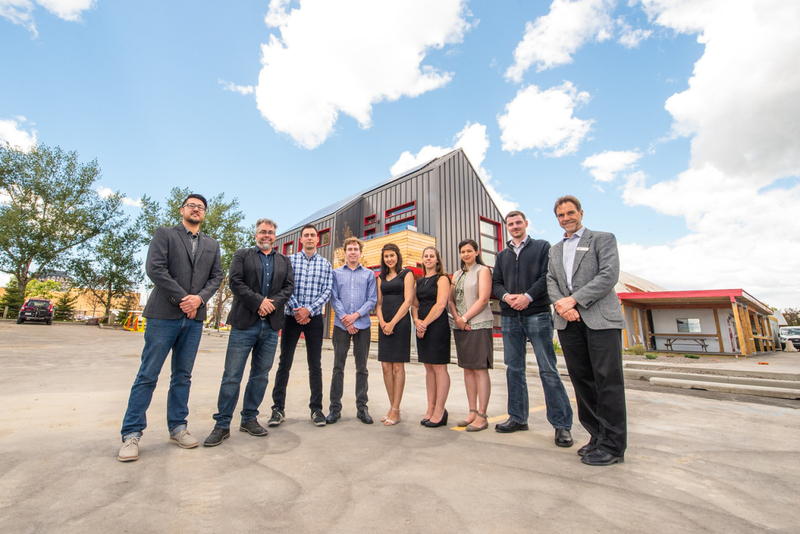 SAIT’s Green Building Technologies (GBT) Lab and Demonstration Centre is Calgary’s first net-zero commercial building—a living research lab that is an innovative example for the green building and structure sector to see, feel and understand how to design, build and live more sustainably. Working with government and industry partners and available for research and development to post-secondary students (capstone projects) and for public tours, the GBT Lab is getting rave reviews in the short time it’s been open, and it continues to get requests for facility use. Each year, GBT Lab see over 100 industry partners and 2,800 visitors, including Solar Energy Society of Alberta for its monthly speaker series, and solar design and installation courses for electricians and engineers. The lab’s 6,350 square-foot space is designed to showcase net-zero water and energy efficiency in the building sector, offering an affordable solution for decreasing Canada’s building carbon emissions by over 40 per cent. Even with the additional 16,800 square feet of research infrastructure that houses specialized workshops, testing bays, storage and construction, the GBT Lab is 75 per cent more efficient than a typical commercial building of the same size. The building has an advanced envelope and passive solar design, and includes an electric car charging station, rain water harvesting, living walls and green roof testing plots.